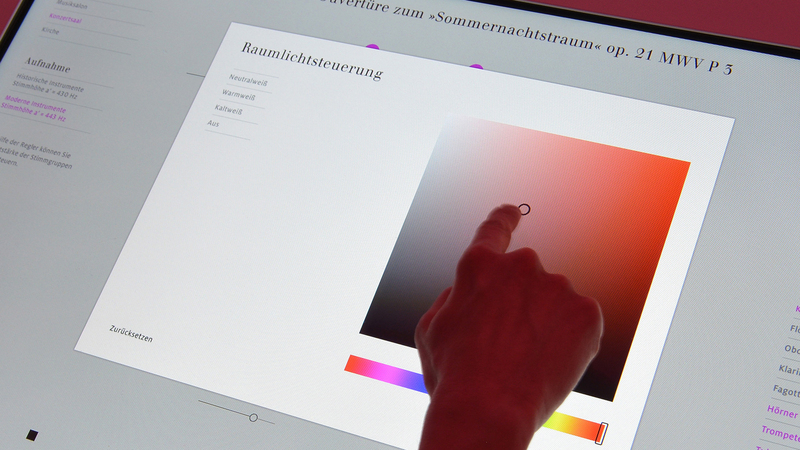 The centerpiece of the newly reopened Mendelssohn Museum is the interactive media installation „Effectorium“. 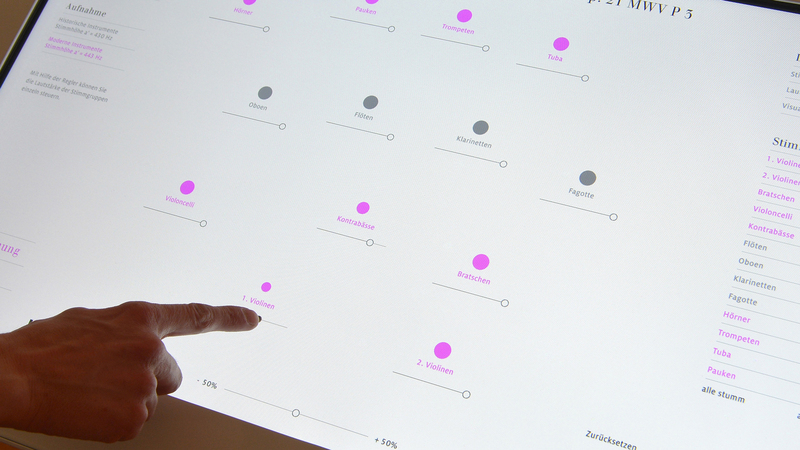 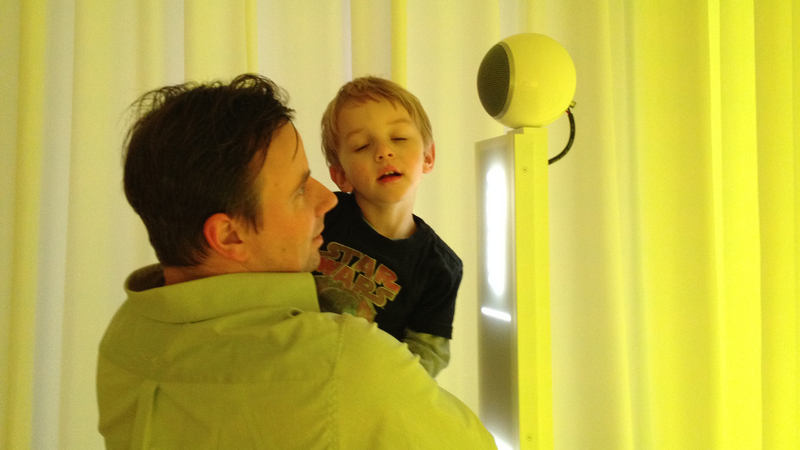 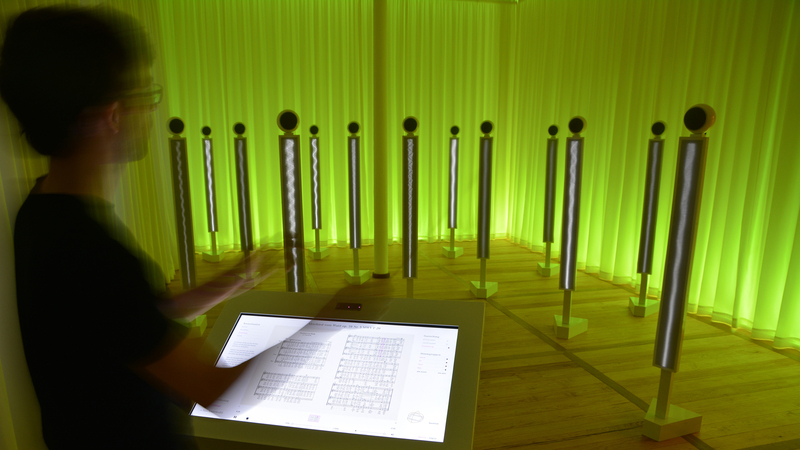 Visitors can conduct a digital orchestra using a wall and touch screen. 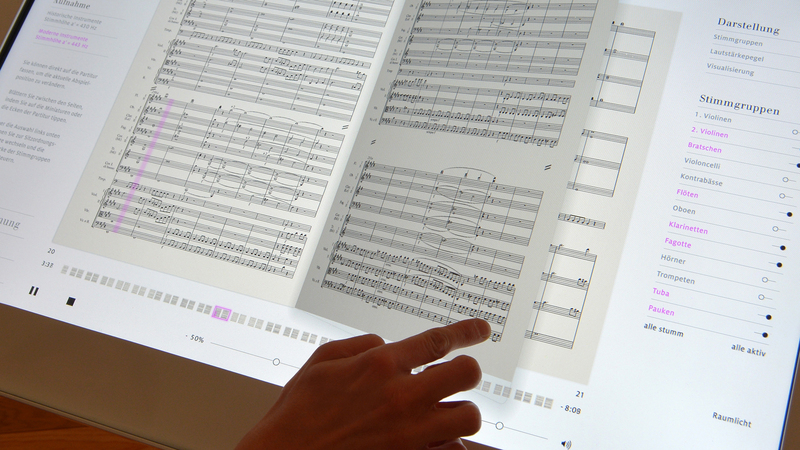 By using a browser interface, you can navigate through various songs of the composer. 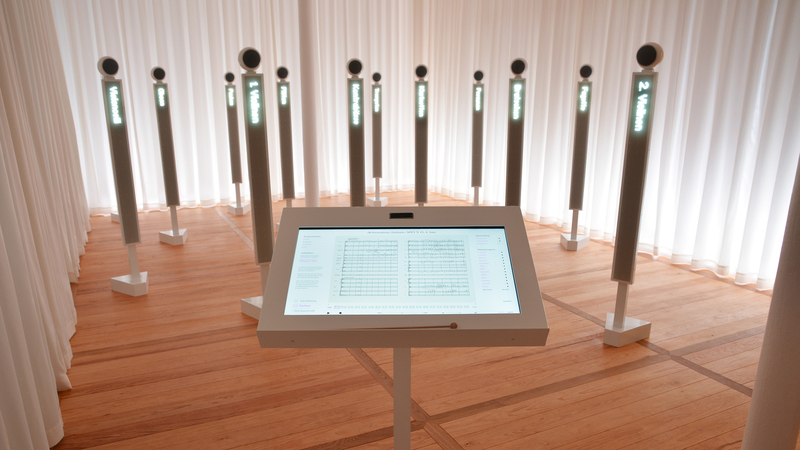 Visitors can move freely within the „orchestra pit“ in order to listen to the individual instruments through their respective speakers. 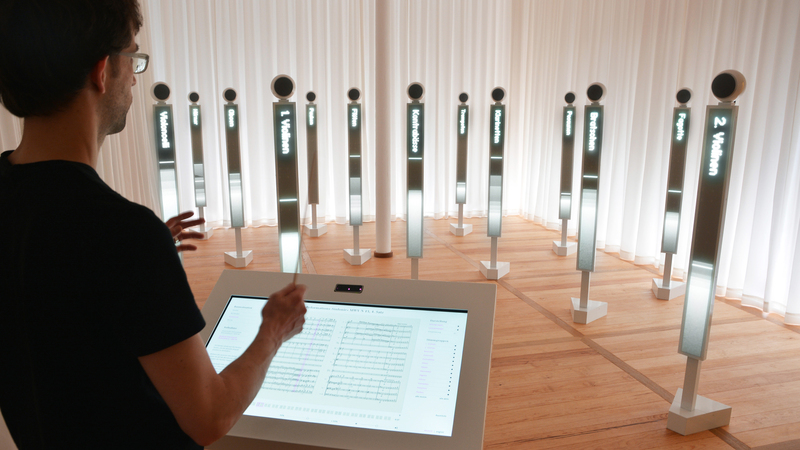 This creates the illusion of a real orchestra.